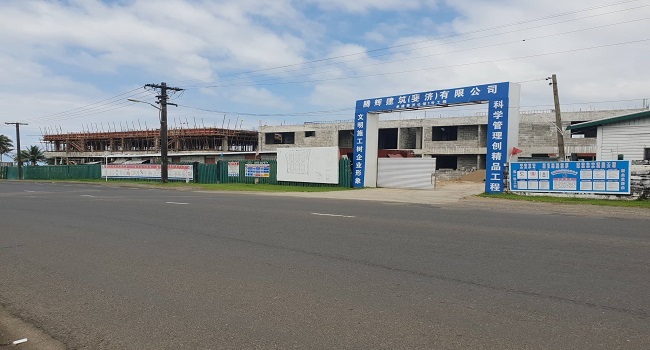 With the growing demand of accommodation, Fijians can now expect to see one of Suva’s largest single apartment projects along Princess Road. With construction work moving at a fast pace, The Harbour Garden is expected to be completed by the end of next year. Dezyn Workz Limited Director, Alvin Singh says the project will have seventy-two units spread across six buildings. Working with owner Great-Han International Company Ltd, Singh adds the development has secured final approvals. According to their architectural services, he adds the apartment would be an ideal place to live in. Approximately costing $30million, the project will consist of two to three bedrooms in each unit and there will also be a swimming pool and several recreation areas.